Among multibillionaires, they are considered the ultimate status symbol: Lürssen superyachts. Half of the world’s biggest private vessels have been manufactured by the family-owned, Bremen-based company. Fourth-generation shipyard owner Peter Lürßen speaks about his clients’ unusual requests and explains why discretion remains the golden rule of his business. Peter Lürßen, one of two bosses at the Lürssen company, is sitting in an unassuming building with a view of the Weser River in the Vegesack neighborhood in Bremen. The hallway leading to his office is lined with photographs on both sides, starting with the first rowboat built by his family in 1875. The office next to his is occupied by his cousin Friedrich who is in charge of the company’s defense arm and with whom he shares one personal assistant. The wall outside their offices boasts oil paintings of each of their fathers. Mr. Lürßen, you have built some of the world’s most exclusive private yachts for heavyweights like Larry Ellison and Roman Abramovich. How do you manage to win such contracts? I can’t really tell you, that’s our secret. The crucial thing is the level of satisfaction among existing customers. There are few people who can afford yachts like ours and the probability of them all knowing each other is relatively high. So if a customer speaks badly of you, that’s a problem. 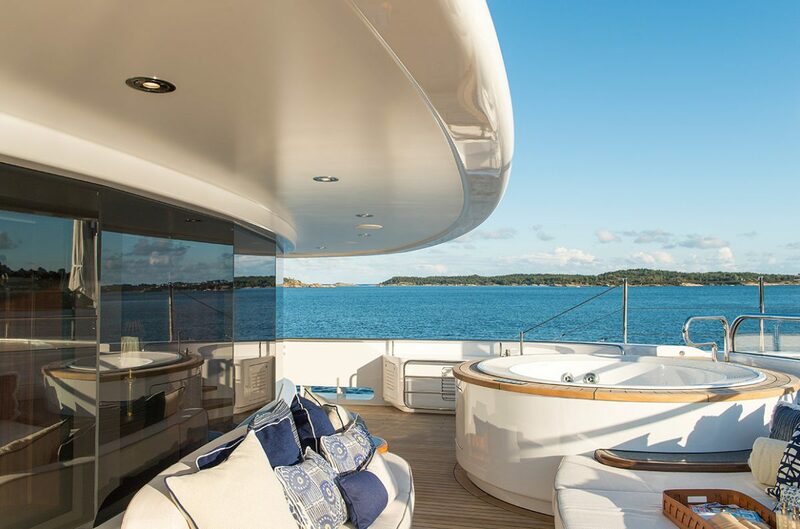 Do you sometimes stay in touch with a customer after a yacht has been delivered? You tend to keep in touch in order to provide customer support. After all, are you friends with the person who sold you your car? We sell a product, but we’re not personal friends with our customers. How do you ensure that a gigantic project like the “Azzam” (at 180 meters, the world’s largest private yacht), which took several years to build, is kept confidential? Our employees all know that it would jeopardize the contract if they let something slip. All our subcontractors also personally sign a document about confidentiality. We never talk about the names of our customers anyway. After I have signed a contract with someone, they are given a reference number and a project name, and the document is stored in the safe. Customers know only that we are building a vessel, that it is 70 meters long and what the code name is – that’s it. We are in the business for the money, not for the glory. How many projects do you work on simultaneously? Oh, quite a few. How many is that? Quite a few. Is that confidential, too? It is quite simple: if I told you that we work on 25 projects simultaneously, you could quickly calculate what our earliest next delivery date would be. 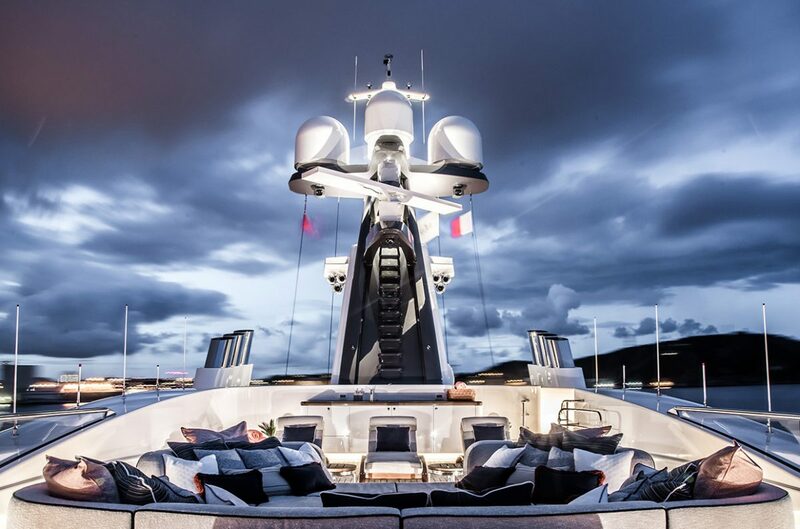 At Lürssen, we release few figures. What I can say is this: we handle budgets of roughly €700 million annually and have 2,700 employees. You have to think years ahead. How do you stay informed about what is made possible by new technologies? Every customer pushes the envelope a bit further. There are questions around noise, vibrations, cleanliness and odors. Each customer wants more than the last. Because of this pressure we talk to a great number of suppliers. We are also often contacted by inventors. Our engineers frequently attend trade fairs. We will look at noise-cancelling headphones, for example, and think about whether this technology could be applied to a ship’s engine room. A budget is set and the research starts. We explore all options except those that are totally absurd. How have the wishes of the clients changed over time? People no longer spend hours sunbathing. Shade is important today, and customers usually ask about additional “experience zones.” Wellness facilities are more prominent than they were in the past, whether in the form of steam baths or rest areas. Today, spas on yachts are fitted out like those in luxury hotels, complete with ice rooms in which you can have snow falling on you after a sauna visit. 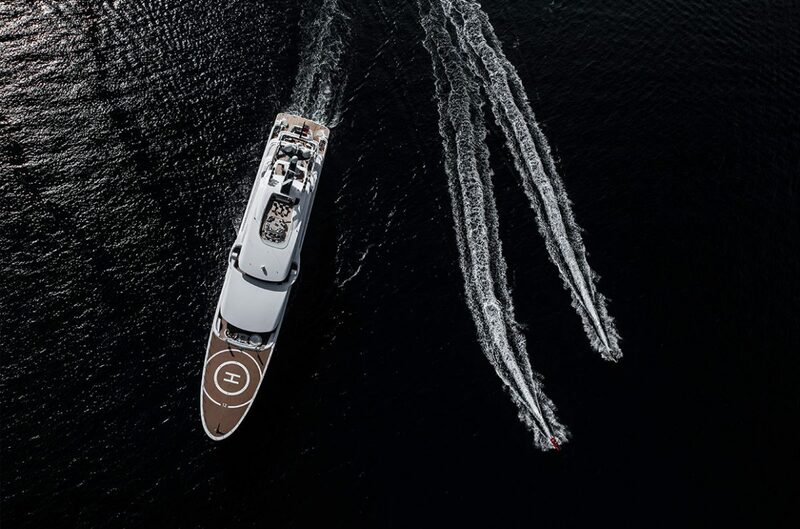 Are there any features that bear a specific Lürssen signature? No, not on a visual level. 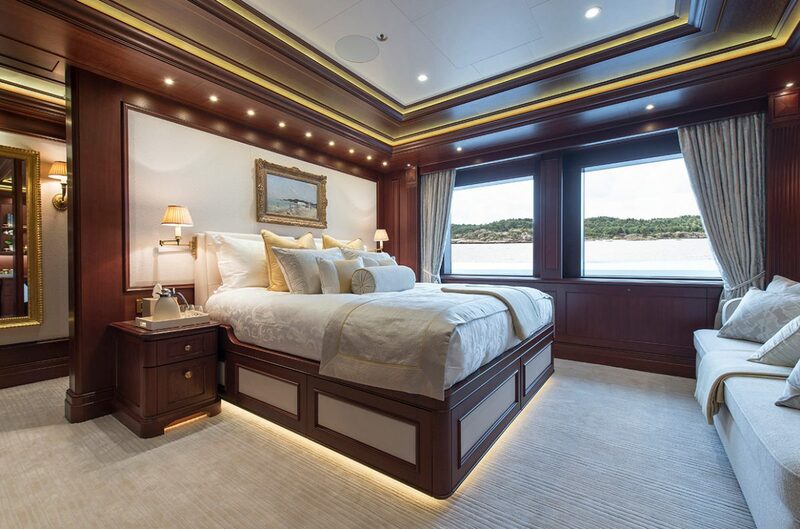 We have made a conscious effort for each project to be unique, so there is no Lürssen signature look. But what about quality? I don’t like talking in superlatives. Our customers know that as a rule, our vessels are designed and constructed to be robust. They appreciate our efforts to ensure their ship’s day-to-day operations run smoothly and that its maintenance is straight-forward. That’s a remarkable bit of Hanseatic understatement. We have one rule around here: if someone says that we are the market leader, I usually get quite brusque. We were simply lucky that early on, we had the right product in the right place and at the right time. And that was due to many fortunate circumstances. 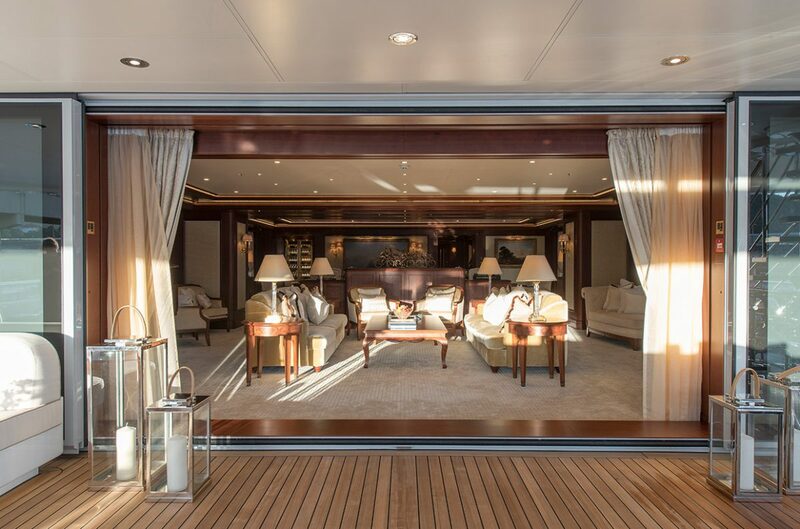 The fact remains that half of the world’s ten biggest superyachts were produced by Lürssen. This may be the case, but it’s partly due to the fact that we had the expertise that others lacked. When you increase the length of a yacht from 50 meters to 60 or 70 meters, it is not just a matter of adding the extra length. Everything becomes a lot more complex. And going from 90 or 100 meters to 120 meters is a quantum leap. We learned this the hard way early on. Nevertheless, each yacht is a new challenge. But if there really is a major issue we have hundreds of engineers capable of fixing the problem. 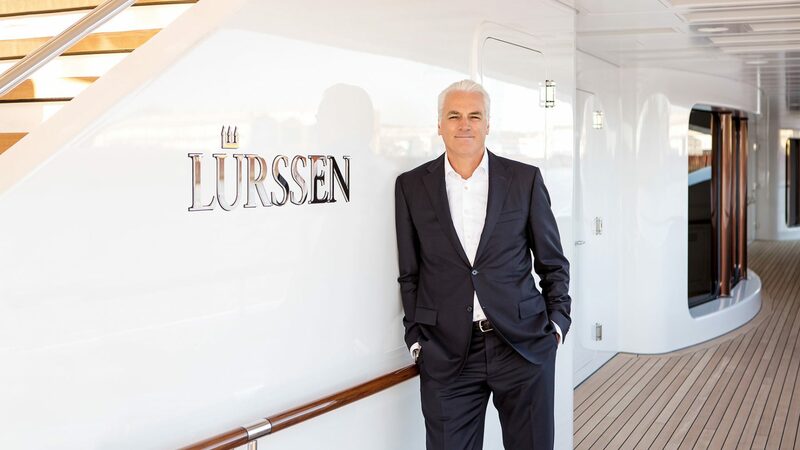 How important is it to your customers that Lürssen is a German company? I believe that it’s reassuring for customers to know that we manufacture exclusively in Germany. We don’t say: let’s get a hull from Poland or Romania. That’s not to say that such hulls are technologically inferior, but our customers feel reassured knowing they’ll be getting a genuinely German product. You have three children and your cousin has one son. What are the plans for the next generation? All the children have been to college and finished their degrees. We are in a transition phase and it is a matter of slowly introducing those children who are interested into the company. It is rather unlikely, though, that all of them will be equally qualified and equally motivated.